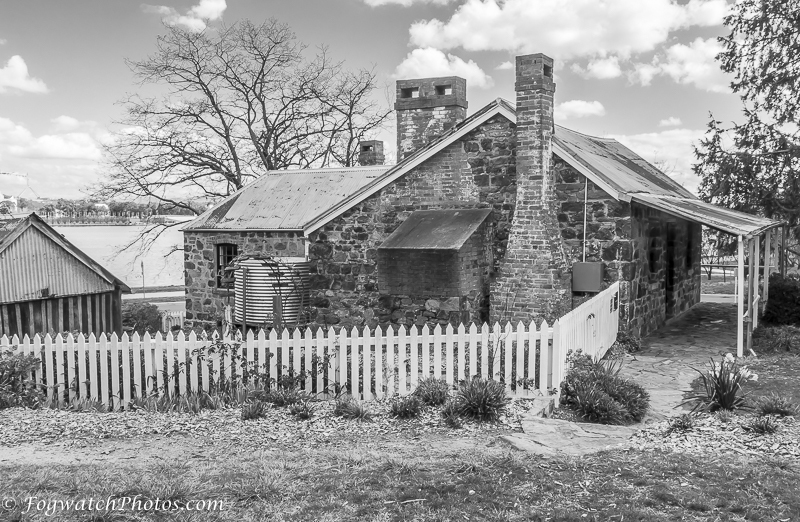 Blundell’s Cottage is a bit of an anomaly in Canberra. 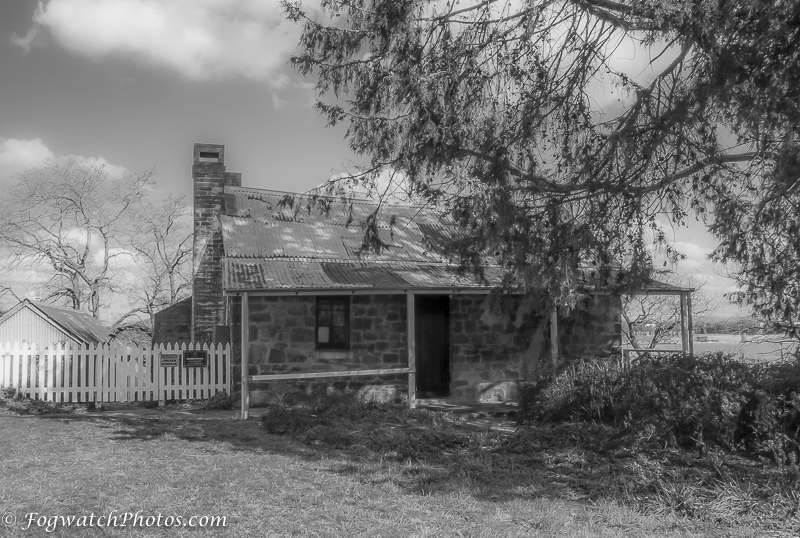 Perched on the edge of Lake Burley-Griffin is an old stone cottage with a traditional slab hut right next to it. 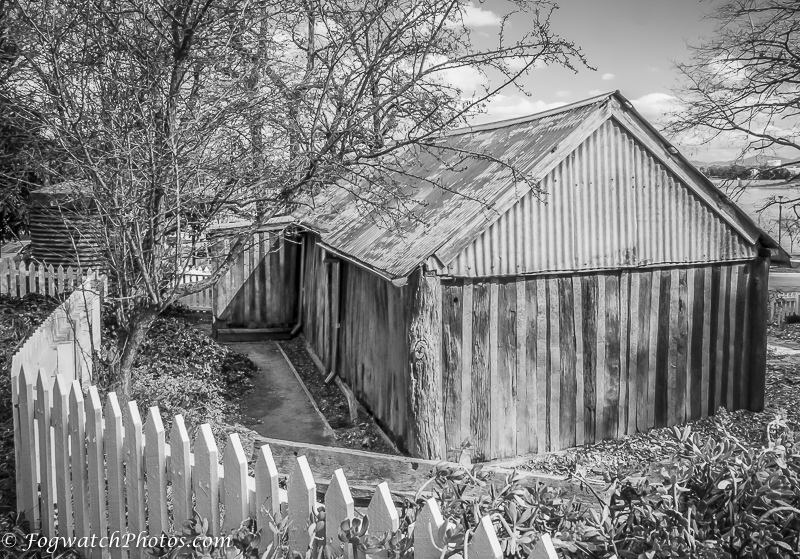 There are very few really old buildings in Canberra, and this one pre-dates the lake by about 100 years. Blundell’s cottage was built in around 1858 for the ploughman for George P Campbell – the local land-owner whose name graces the suburb roughly covering where his farm ‘Duntroon’ once stood. When it was built, it was on the edge of the Molonglo River floodplain, and Canberra was not yet even a dream. Ginn was followed into the cottage by the Blundells – also employees of Campbell, and they lived in it from 1874-1933. So they were still living it – even after the Commonwealth of Australia acquired the Duntroon Estate owned by Campbell in 1913. The Duntroon name lives on in the Officer training school nearby. Today it is a museum, carefully preserved as an example of a late 19th century workers cottage. It is open every Saturday from 10.00am-2.00pm, and it rests just metres from the waters edge of the lake overlooking Parliament House just across the water. So you thought texting distraction was new? In Sydney recently I saved someone’s life. No, I’m no hero, but waiting for the lights to change I noticed a woman walking briskly towards the pavement edge completely engrossed in her phone and entirely unaware she was about to step out into the mayhem of Sydney traffic. “watch out!” I said and caught her arm as she stepped off the pavement. She looked confused and annoyed as though emerging from another dimension in some bucolic idyll to materialise abruptly on a busy city street. I thought about how technology had become so absorbing, that people could lose their situational awareness to such a degree – as to put lives in danger. It was never thus in our grandparents’ time or their grandparents’. Or was it? 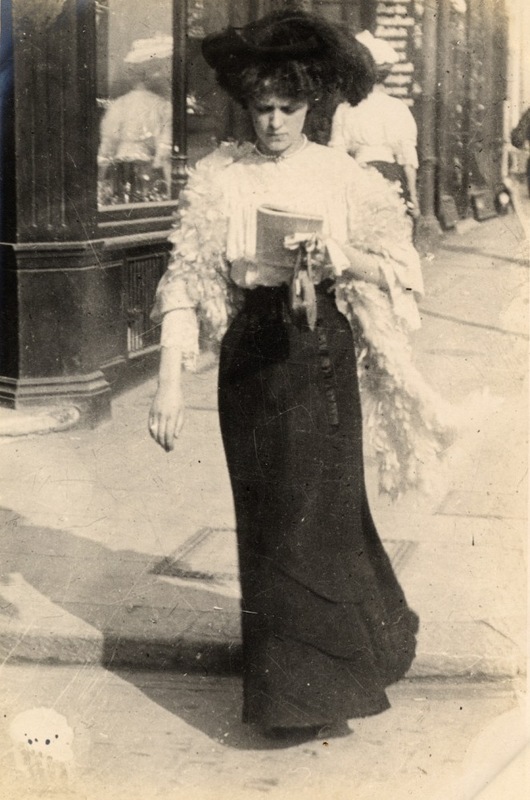 This photo was taken in 1906 and forms part of an excellent blog post by Dave Walker, titled Street style 1906: Edward Linley Sambourne’s fashion blog. 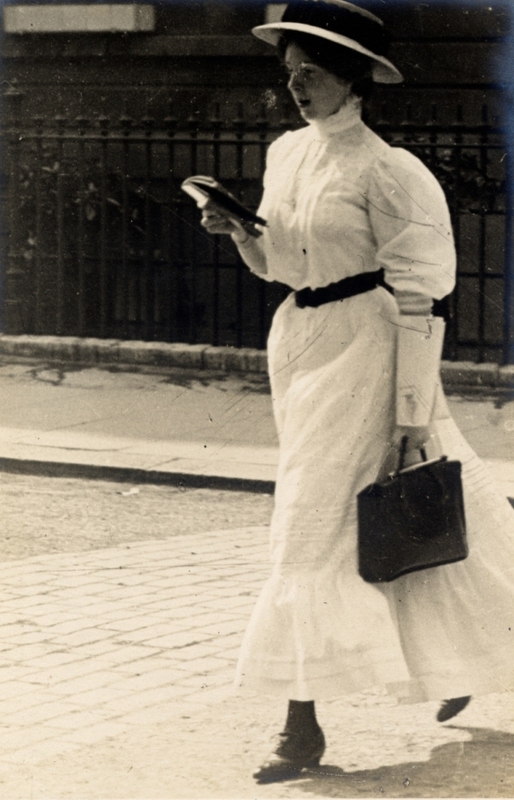 While his post is about street photography and a documentary style that today would be called a fashion blog, I was intrigued by the way the early photographer captured the impact of reading on young women of the day – just as today the same kind of images turn up of people stepping off curbs and – heaven forbid – actually check their phones while driving!